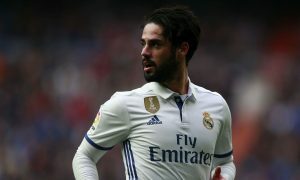 Manchester City have again denied any interest in signing Isco after Spanish claims on Monday that the Premier League champions had contacted the player’s camp via an intermediary. No @ManCity interest in Isco I am told. Pep Guardiola said last week he wouldn't be buying anyone in January. In the latest of a hundred twists in the Isco/Manchester City saga that stretches back to 2013, City said they have no intention to sign the 26-year-old, who has fallen out of favour in Madrid. With Isco not being a Pep Guardiola style winger and the Blues well stocked on central midfielders of a similar profile, such as David Silva, Kevin De Bruyne, Ilkay Gundogan and Phil Foden, Isco would appear to be a luxury signing if brought in. In the past day, it is Maurizio Sarri’s Chelsea who have been strongly linked with Isco, who looks destined to quit Real Madrid in the summer unless of a major turnaround, with current boss Santiago Solari not fancying the Spain international.